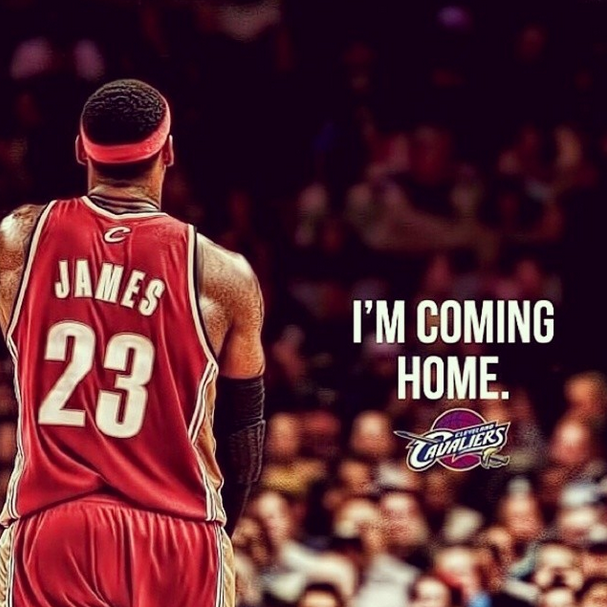 Well it actually happened, LeBron James is heading back to Northwest Ohio. Earlier today, Sports Illustrated broke the news (as first reported by Chris Sheridan of Sheridan Hoops) with an exclusive letter from Mr. James to senior writer Lee Jenkins describing why it is time for him to go back to the team where it all began, the Cleveland Cavaliers. 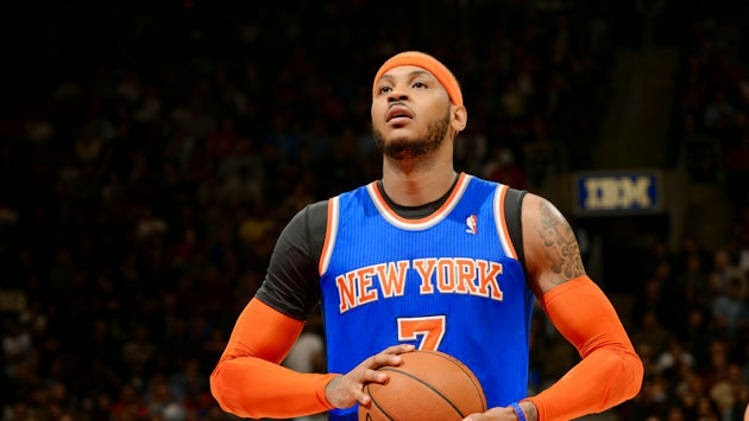 Four years and three days after "The Decision" turned James into a bit of a pariah in many circles, James could not have announced his decision more differently. Listen to the full, two-part Series on Fanatic Radio here and here. 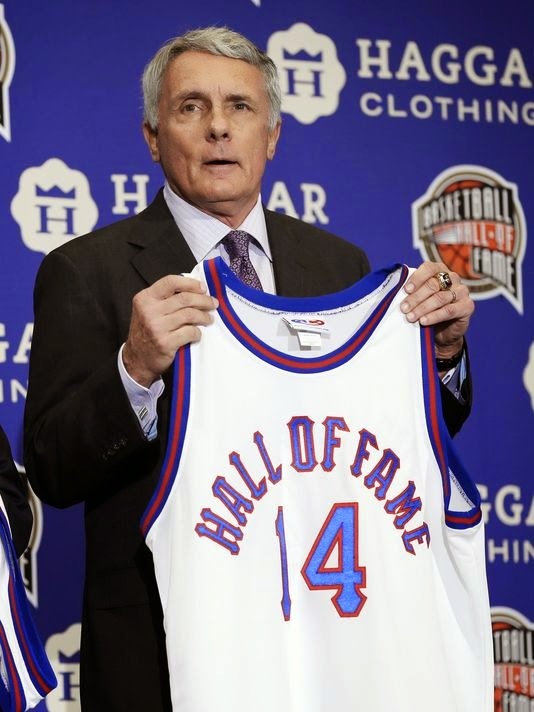 WASHINGTON — It has only been a few weeks since the former National Championship coach received the phone call that he would be inducted into the Basketball Hall of Fame, but Gary Williams has worked a lifetime to reach the top of the basketball summit. Fanatic Radio finishes our two part series with Hall of Fame basketball coach Gary Williams on his time at Maryland University and its future going to the Big Ten Conference. LeBron James heads home to the rust belt to continue his career back in Cleveland, and has this been the domino in free agency? The MLB has reaches the midpoint in the season and the All Star Game is Wednesday, the World Cup is Sunday and Fanatic Radio begins its summer Top 5 Series of Best & Worst: Sports Show on TV. Mike & John Gardner recap the two semifinal matches in the most lopsided matches in recent futbol history. We will give you the truthful reason behind the 7-1 Germany victory over Brazil and the Netherlands vs. Argentina scoreless yet dramatic match. The World Cup Final is July 13th and we breakdown the greatest spectacle in the sporting world - who are the key plays to watch, how dominant is Germany and can anyone stop them as they go up against South America's favorite son, Lionel Messi? With only one match left, Fanatic Radio is your one stop source to credible analysis for the beautiful game for Sunday's Final in Rio. 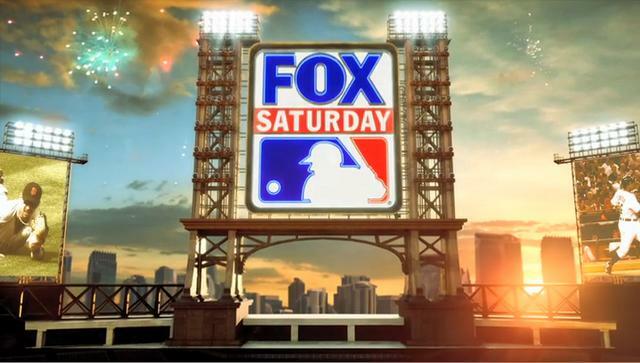 It is the last Saturday before the All-Star Break and it is also the last slate of Fox Saturday Baseball until the stretch run in September. Three games are on the Fox docket this week: Pirates-Reds, Nationals-Phillies, and Angels-Rangers. Coverage begins once against at 7:00, following Cardinals-Brewers on Fox Sports 1. Continue reading for announcers and distribution for this week's edition of MLB on Fox. As I noted back in February, the new Chase for the Sprint Cup format was aimed at further incentivizing winning. A core piece of the new system was that the 16 driver Chase field would be comprised of the points leader at the end of the first 26 races as well as the top 15 drivers that won a race while finishing within the top 30 in points. What that means that virtually every driver that wins a race is in the Chase and led to many folks to look out for races where we could see so-called "wild card" winners to get a Chase berth with a victory without having the points. Those races were likely see as the plate tracks and the road courses. 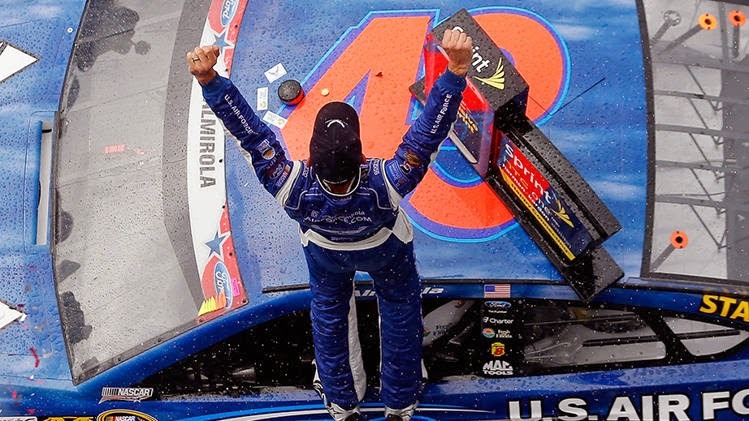 It took until July for such a victor to emerge, and it ultimately was Aric Almirola who won the rain-delayed and rain-shortened Coke Zero 400 at Daytona this past Sunday. And for NASCAR, that is nothing but a good thing. In a country that has never met a lawsuit it did not like, we may have just found the silliest one yet. During the April 13th game between the Yankees and the Red Sox at Yankee Stadium, ESPN's Sunday Night Baseball broadcast crew of Dan Shulman and John Kruk ribbed the man pictured above for being asleep during the game. This went on for a couple of minutes as Shulman and Kruk seemed to have some gentle fun as the asleep fan's expense. This incident was obviously captured by video and clipped on MLB.com and on YouTube. No big deal, right? Well, apparently not to the fan in question, Anthony Rector, who is now suing Shulman, Kruk, ESPN and Major League Baseball for $10 million in damages, as first reported by The Smoking Gun.